Baja Fresh is a San Bernardino catering service provider founded on the belief that healthy eating should be a way of life. As such, this catering company offers bbqs, crawfish and real lunch made by real and qualified chefs and prepares all its only food from fresh ingredients. With a wide variety of catering options for clients to choose from, there is no event too small or too big for Baja Fresh to handle. To crown it all off, Baja Fresh packs food in reusable bags and each catering option includes utensils, plates, and napkins. The husband and wife duo, Rich and Merci Courtright, owns one of the leading wedding catering companies in San Bernardino, CA. Called Gold Standard Catering, this company lives up to its name by providing gold standard services. The company offers a revamped corporate menu ideal for any corporate event. They offer full-service catering and are always committed to customer satisfaction. Thanks to their dedication and commitment, Gold Standard Catering has acquired a good reputation among its many Inland Empire clients. 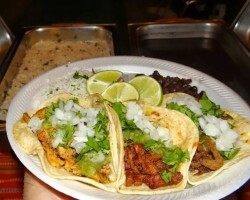 Taco Man Catering is another local caterer known for its portfolio of authentic Mexican menus. With over a decade in the catering business, this catering company is more than capable of providing world class catering services for both small weddings and large banquets. Since its establishment in 2003, this catering service provider has catered in countless events and has amassed a large following in San Bernardino. The popularity of this caterer can be attributed to its selection of menus offered at cheap and affordable prices. Alfredo's Pizza & Pasta Catering is a company that brought authentic Italian catering to San Bernardino. 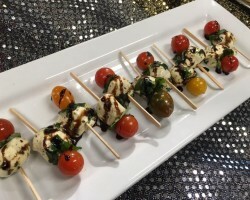 Since 1979, this catering service provider and restaurant has been offering quality authentic Italian foods for weddings, corporate events, and other special parties. 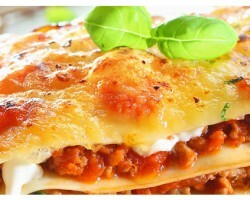 All meals provided by them are homemade, something that’s done to offer clients the most authentic Italian experience. This combined with the restaurant’s reliable and professional team of caterers makes it one of the top restaurants for catering in San Bernardino, CA. 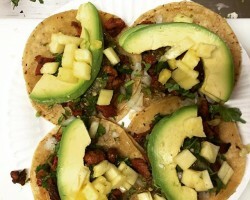 Arguably the most reputed authentic Mexican food catering company in the Inland Empire region, Good Fellas Tacos is a California company known for its impressive selection of taco menus. 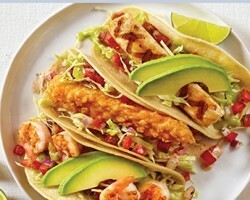 Backed by a professional team of caterers, Good Fellas Tacos serves San Bernardino and its surrounding areas. Also, they can customize their services to match the needs and decor themes of different events. In this regard, the firm works with clients to get the best presentation theme for an event. Thus, for authentic Mexican food, especially tacos, Good Fellas Tacos is the catering company to contact.